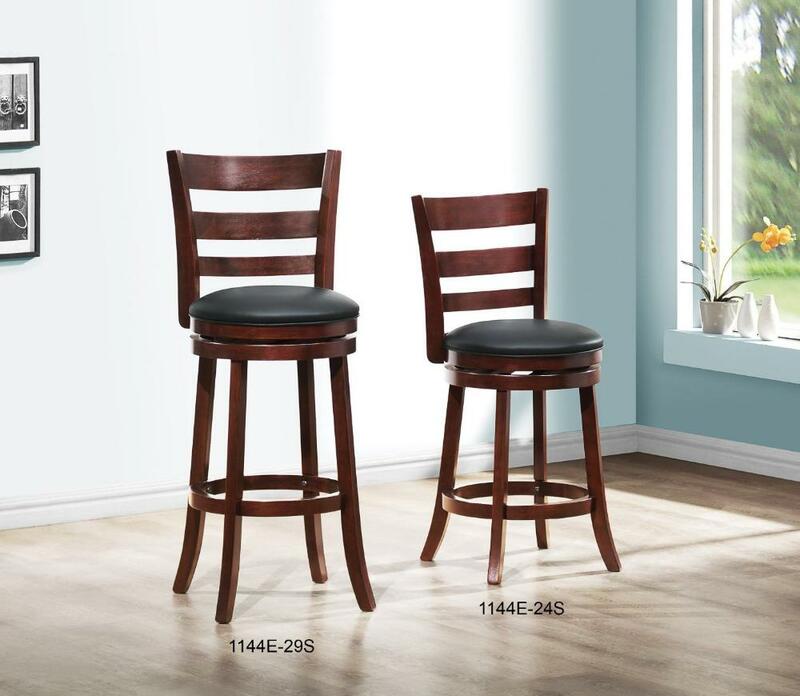 Expanding the seating availability in your entertainment or dining space has become much less complicated with the Edmond Collection. Offered in a dark cherry finish with black bi-cast seats, the varied designs of the chair backs allow for placement in a multitude of design settings. 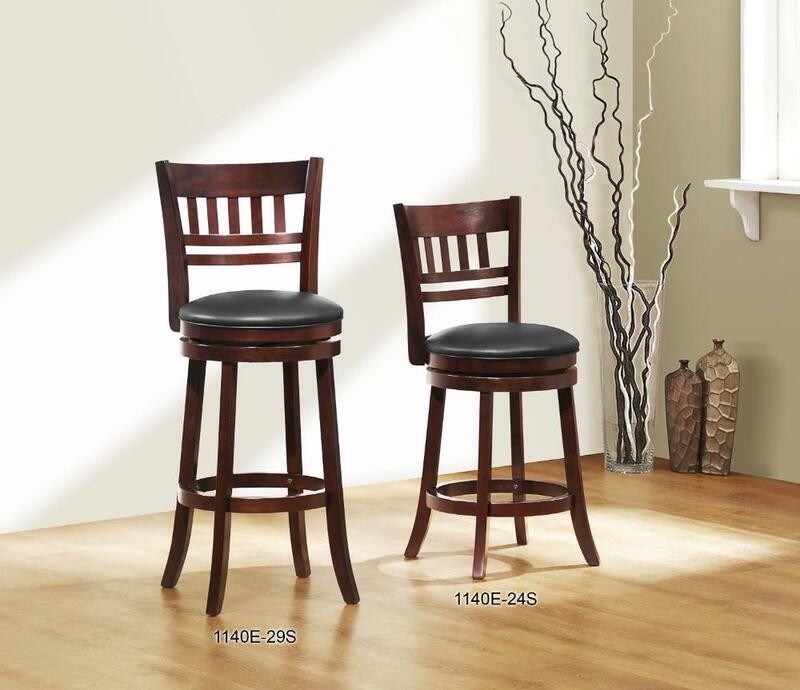 From casual to formal, the 24-inch and 29-inch bar stools offer the best selection out there. Each height option sold individually. FEATURES: Dark Cherry / Black Color ~ Transitional / Contemporary Style ~ Bi-Cast Vinyl Cover ~ Swivel Height Chair ~ Foot Rest ~ Wood Base.